Sixteen-year-old Ebony has always felt different to others. Her sheltered life in the Valley, homeschooled by her parents didn’t help, but even though she has now started to attend high school, she still feels different to the other teenagers. Ebony could never have imagined just how different she. She could never have known that sneaking out to go to a dance with her best friend Amber could trigger events that would reveal her true nature, and uncover the reason that her parents kept her hidden away for so long. The stakes are high and Ebony needs to work out who she should trust = the troubled, intense teenager Jordan that she feels inexplicably drawn to, the mysterious Mr Zavier who is linked to her parents and her past, or perhaps the handsome and charismatic Nathaneal. If Ebony makes the wrong choice, the consequences will be disastrous. 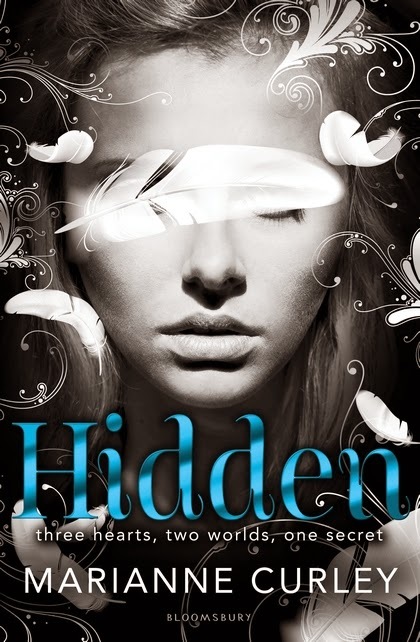 Hidden, the first book in Marianne Curley’s The Avena Series trilogy, sets the scene for a suspense-filled battle between angels and fallen angels. Ebony discovers that she is a long-lost angel and the clock is ticking for her to return to her rightful place if the forces for good are to succeed. Readers familiar with biblical references to angels will recognise some of the names and personas that appear in the story, but this isn’t a simple Sunday school tale of good versus evil. The connections between Ebony, Jordan and Nathaneal are complex and both Jordan and Nathaneal have hidden agendas. The story maintains a sense of suspense throughout as the truth about Ebony is revealed. The narration is shared by Ebony and Jordan. This serves not only to connect readers with these two significant characters and give both a female and male perspective, but also to provide information about the unfolding drama that may not be known to all of the central characters, helping to build the tension of the story. Hidden promises a series filled with suspense, romance, and a battle between good and evil that will blur lines and test relationships. The second book in the series, Broken, is already available and I am looking forward to seeing how this story develops.